Fitting high quality fire doors on escape routes enable occupants of the building to evacuate quickly and easily in the event of an emergency. The fire doors prevent fire from spreading from room to room & offer a safe exit. 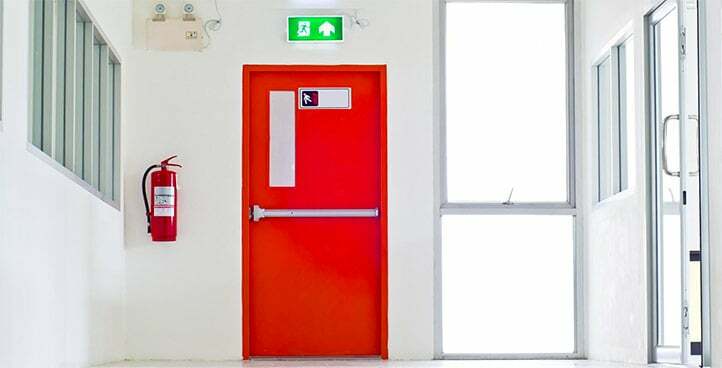 As well as providing an easy means of escape, fire doors offer a barrier to the spread of fire. In addition to being fire-resistant, they also deliver an effective seal against combustion gasses and prevent further oxygen from feeding the fire.